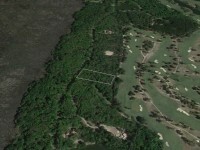 This only remaining golf home site offering both golf, lagoon and marsh views. 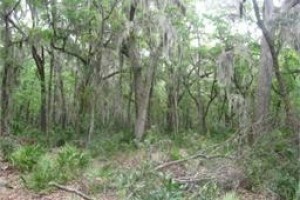 Live Oaks with 326 feet of frontage and 2.2 acres. Nestled on a quiet cul de sac on Marlin Lane. Listing courtesy of © 2016 Golden Isles Multiple Listing Service (GIMLS). Information deemed reliable, but not guaranteed. Listing courtesy of Al Brown & Company. An unmatched 583 feet of golf frontage offers multiple fairway views from this 2.8 acre golf home site. Both Oaks and Pine trees grace this home site. Listing courtesy of © 2016 Golden Isles Multiple Listing Service (GIMLS). Information deemed reliable, but not guaranteed. Listing courtesy of Al Brown & Company. 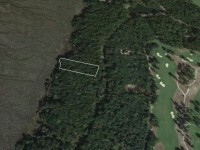 This golf front home site offers a Southern orientation located on the picturesque 5th fairway of the Frederica Golf Club course with 1.5 acres and 173 feet of golf frontage. Located on the quiet Marlin Lane cul de sac offering great privacy with wooded setting in the Pines. 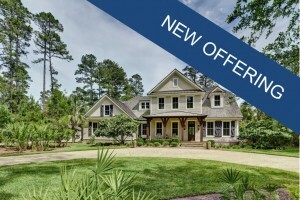 A unique opportunity to build your dream home within the prestigous Frederica community. One of our most sought-after locations, Southerland Lane, this lake front home site offers 2.8 acres with 366 feet of lake frontage with long lake views. 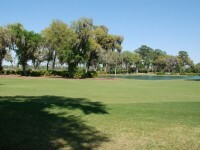 Easy access to the boathouse and all of Frederica Golf Club's amenities. Offering a great tree canopy and wide lake setting and privacy that over 2.5 acres affords. Wonderful street with prominent homes all on two or more acres. 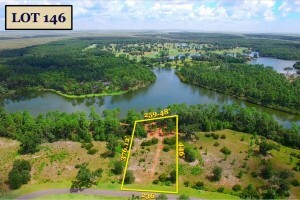 Enjoy both large lake views and vistas of the Frederica Golf Course beyond from this lake front 2.1 acre home site with 258 feet of lake frontage. This sites offers the ability to create your own canopy and landscape design while enjoying a large lake setting. 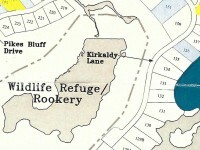 Kirkaldy offers some of Frederica's fine homes and larger lake lots. 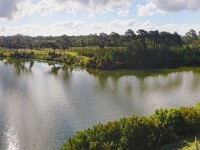 One of Frederica's best values and unique opportunities, this 5 acre wooded home site adjacent to the Woodstork Rookery offers a wonderful compound setting with the rear of the lot forever protected. 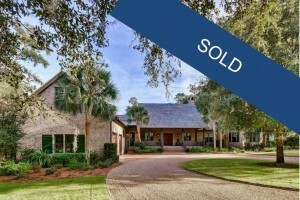 Located on Kirkaldy Lane in the exclusive Frederica Golf Club commmunity, this home site is one of the few large single family parcels remaining on St. Simons. 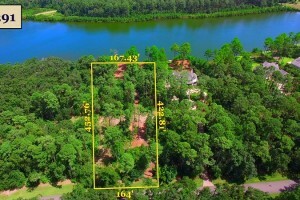 Spectacular lake front setting with lake lagoon views with access to the Frederica Lake from this 2.3 acres home site with 320 feet of beautiful lake frontage. Eastearn exposure offering a qonderful tree canopy with spectacular Oaks tucked on the serine Hatton Lane. A sought after neighborhood on a quiet cul de sac with a beautiful oak canopy and a growing community of new homes. This property is a one of a kind. Enjoy all of the Frederica Golf Club's world class amenities while enveloped in a private setting. 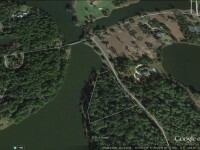 Over 1.7 acres on this lakefront home site in Frederica. 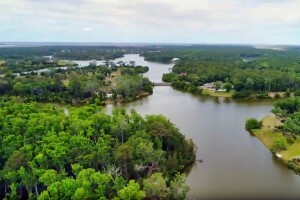 Located in Phase II of Frederica Township, this home site is on the lake with quick access to all that Frederica has to offer. A celebrated and prestigious private club, Frederica offers an impressive list of amenities including fine dining, tennis, fitness center, boating, fishing and swimming. A Tom Fazio designed golf course complete with new golf learning center provides for an extraordinary golfing experience each time out on the course. Call for more information. © 2015 Golden Isles Multiple Listing Service (CIMLS). Information deemed reliable, but not guaranteed. Listing courtesy of Duckworth Properties. 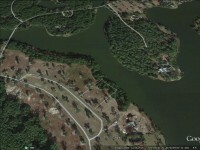 Located on Perth Lane with an adjacent 2 acre green space, this 2.5 acre lake front home site feels like 4.5 acres. Large lake views overlooking a wetland, southern exposure and only a few estate home sites located on this street, this 272 feet of lake frontage offers a wonderful setting. Enjoy a canopy of oaks and pines with surrounded by nature all within Frederica Golf Club's community. Beautiful lakefront home site located on Telford Lane offering wonderful private lake views with a wetland beyond that cannot be developed. Nestled in a live oak canopy with over 2 acres of property. This home site is truly one of a kind and only one of two remaining home sites on Telford Lane that offers a majestic oak canopy. Long lake views and wonderful privacy in one of the communities most sought after neighborhoods. Only one of two remaining home sites on beautiful Telford Lane. Located near the Residents entrance, this home site offers wide lake views overlooking the wetland beyond. 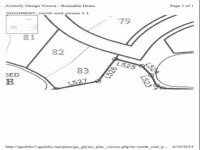 A chance to create a more manicure setting in Phase V, this home site offers over 2.1 acres with 341 feet of lake frontage. A few signature oaks grace the buffers and the oak canopy along Telford Lane denotes you have arrived in the deep South. Western exposures offers a wonderful sunset with amazing birdlife in the wetlands beyond the lake. A must see! 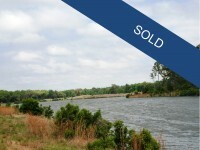 Quickly becoming Frederica's most sought after neighborhood, this home site offers a pine setting with east lake views. 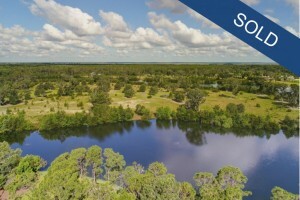 Over 1.4 acres with 151 feet of lake frontage, this property offers an incredible opportunity to build your dream home within the sought after Frederica Golf Club community. Located near the residents entrance, this home site offers easy access to all of St. Simons amenities while enjoying the tranquilty of Frederica Living. Only one a few remaining east facing homesites on Pike's Bluff Road near the residents entrance. This lake front home site offers large lake views. 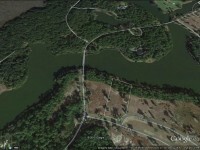 Create a manicure setting in this 1 acre site offering 165 feet of lake frontage. This neighborhood is quickly becoming the center of Frederica's family activity. The lake front home site is the last remaining east oriented lot with live oaks on Pike's Bluff Road near the residents entrance. 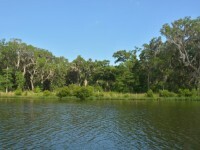 This property is teaming with live oaks and offers large lake views. 1.6 acres with 174 feet of lake frontage, this is a wonderful opportunity to take advantage of building in this special neighborhood. Majestic Oaks and tranquil views to the wetland beyond, this home site offers over 2 acres with 262 feet of lake frontage. 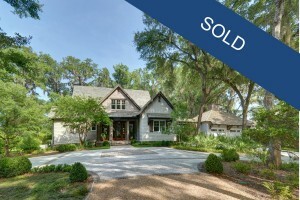 This is the last remaining home site with a beautiful live oak canopy on the sought after Telford Lane. Western exposure and adjacent residents entrance with a full oak canopy along Telford Lane, this neighborhood has been a significant. 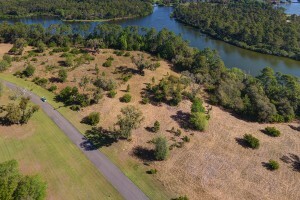 Located on popular Harris Lane with over 271 feet of lake frontage, this large 3.03 acre home site is convenient to all amenities that Frederica has to offer. Eastern views and wonderful sunlight on the lake. These large home sites offer wonderful privacy and the opportunity to create a compound setting all within the core area of the Club. A unique setting to design your dream home on over 3 acres within such a vibrant community. One of Frederica's most magnificent lakefront home sites, this lot offers long lake views adjacent to the Frederica Boathouse. A wonderful opportunity to enjoy the premier location offering both lake views and golf course views from the front of the home site. Located on Darien Circle with convenient access to all that Frederica has to offer. Several of Frederica's transplanted Live Oaks grace the buffer of one of the Island's highest elevations. Location, Location, Location! 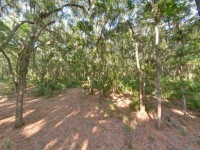 Rookery/wooded home site on Pikes Bluff Drive in Frederica. Located in Phase IV-A of Frederica Township, this is one of the largest home sites available. A celebrated and prestigious private club, Frederica offers an impressive list of amenities including fine dining, tennis, fitness center, boating, fishing and swimming. A Tom Fazio designed golf course complete with new golf learning center provides for an extraordinary golfing experience each time out on the course. Call for more information or to schedule a personal tour. 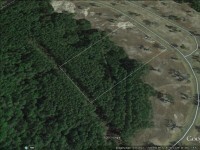 Rookery/wooded home site on Pikes Bluff Drive in Frederica. Located in Phase IV-A of Frederica Township, this is a large home site on the protected Woodstork Rookery which extends your backyard and offers great privacy. A celebrated and prestigious private club, Frederica offers an impressive list of amenities including fine dining, tennis, fitness center, boating, fishing and swimming. A Tom Fazio designed golf course complete with new golf learning center provides for an extraordinary golfing experience each time out on the course. Call for more information or to schedule a personal tour. 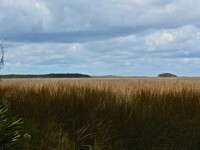 Amazing marshfront setting on the beautiful Hatton Lane. 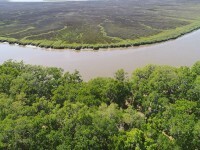 Teaming with oaks and offering over 400 feet marsh frontage with 2 plus acres, this western oriented property is located in the heart of Frederica. Conveniently located near all of the Club amenities. A celebrated and prestigious private club, Frederica offers an impressive list of amenities including fine dining, tennis, fitness center, boating, fishing and swimming. A Tom Fazio designed golf course complete with new golf learning center provides for an extraordinary golfing experience each time out on the course. 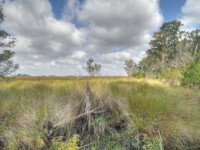 Marshfront home site with over 290 feet of marsh frontage located on the beautiful Hatton Lane in Frederica. 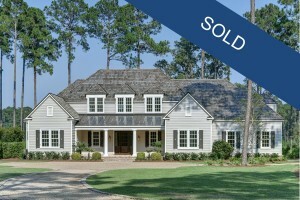 Teaming with live oaks and nestled in the maritime forest offering wonderful privacy. 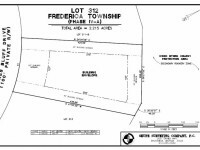 Located in Phase III of Frederica Township, this home site is convenient to all that Frederica has to offer. A celebrated and prestigious private club, Frederica offers an impressive list of amenities including fine dining, tennis, fitness center, boating, fishing and swimming. A Tom Fazio designed golf course complete with new golf learning center provides for an extraordinary golfing experience each time out on the course. 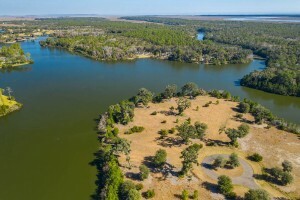 Located in one of Frederica's most desirable locations, this home site offers expansive lake views on a beautiful 2.43 acre setting with an unprecedented 600 feet of lake frontage. Located in Phase I of Frederica Township, this home site is on the lake with convenient access to all that Frederica has to offer. A celebrated and prestigious private club, Frederica offers an impressive list of amenities including fine dining, tennis, fitness center, boating, fishing and swimming. A Tom Fazio designed golf course complete with new golf learning center provides for an extraordinary golfing experience each time out on the course. Call for more information or to schedule a personal tour. 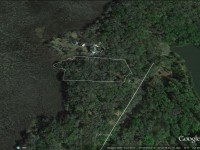 Lot 143 is a lakefront home site on Logan Circle in Frederica. Located in Phase III of Frederica Township, this home site is on the lake with convenient access to all that Frederica has to offer. A celebrated and prestigious private club, Frederica offers an impressive list of amenities including fine dining, tennis, fitness center, boating, fishing and swimming. A Tom Fazio designed golf course complete with new golf learning center provides for an extraordinary golfing experience each time out on the course. Call for more information or to schedule a personal tour. 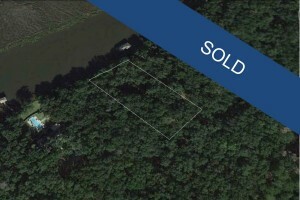 Lot 148 is a lakefront home site on Kirkaldy Lane in Frederica. Located in Phase III of Frederica Township, this home site is on the lake with convenient access to all that Frederica has to offer. A celebrated and prestigious private club, Frederica offers an impressive list of amenities including fine dining, tennis, fitness center, boating, fishing and swimming. A Tom Fazio designed golf course complete with golf learning center provides for an extraordinary golfing experience each time out on the course. Call for more information or to schedule a personal tour. 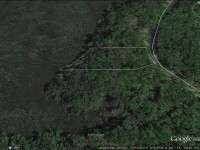 Marshfront home site with over 400 feet of marsh frontage located on Hatton Lane in Frederica. 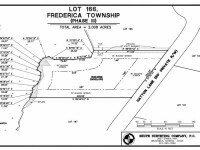 Located in Phase III of Frederica Township, this home site is convenient to all that Frederica has to offer. A celebrated and prestigious private club, Frederica offers an impressive list of amenities including fine dining, tennis, fitness center, boating, fishing and swimming. A Tom Fazio designed golf course complete with new golf learning center provides for an extraordinary golfing experience each time out on the course. Call for more information or to schedule a personal tour. 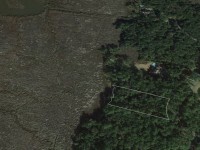 Marshfront home site located on Hatton Lane in Frederica. 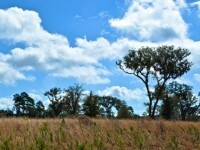 Located in Phase III of Frederica Township, this home site is convenient to all that Frederica has to offer. A celebrated and prestigious private club, Frederica offers an impressive list of amenities including fine dining, tennis, fitness center, boating, fishing and swimming. A Tom Fazio designed golf course complete with new golf learning center provides for an extraordinary golfing experience each time out on the course. Call for more information or to schedule a personal tour. 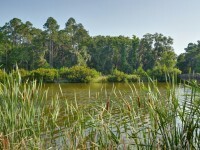 Gorgeous Marsh views from this home site located on Pike's Bluff Drive in Frederica. 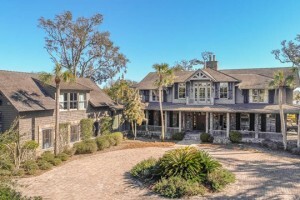 Offering 1.65 acres with over 200 feet of marsh frontage with a beautiful canopy of live oaks and peaks of the boats going by on the Frederica River and Intracoastal Waterway beyond. 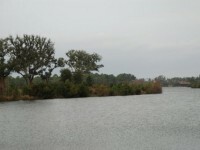 Neighoring home site is situated on deep water. 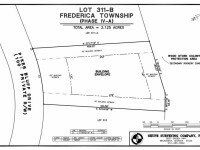 Located in Phase IV of Frederica Township, this home site is convenient to all that Frederica has to offer. A celebrated and prestigious private club, Frederica offers an impressive list of amenities including fine dining, tennis, fitness center, boating, fishing and swimming. A Tom Fazio designed golf course complete with new golf learning center provides for an extraordinary golfing experience each time out on the course. Call for more information or to schedule a personal tour. 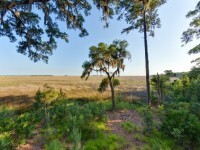 Gorgeous Marsh views from this home site located on Pike's Bluff Drive in Frederica. 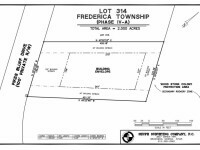 Located in Phase IV of Frederica Township, this home site is convenient to all that Frederica has to offer. A celebrated and prestigious private club, Frederica offers an impressive list of amenities including fine dining, tennis, fitness center, boating, fishing and swimming. A Tom Fazio designed golf course complete with new golf learning center provides for an extraordinary golfing experience each time out on the course. Call for more information or to schedule a personal tour. 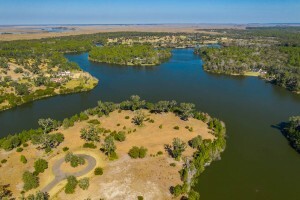 Located on Cameron Circle, this lakefront home site offers over 2 acres nestled on Frederica's only lake island, offering panoramic lake views. Located in Phase II of Frederica Township, this home site is conveniently located with access to all that Frederica has to offer. A celebrated and prestigious private club, Frederica offers an impressive list of amenities including fine dining, tennis, fitness center, boating, fishing and swimming. A Tom Fazio designed golf course complete with new golf learning center provides for an extraordinary golfing experience each time out on the course. Call for more information or to schedule a personal tour. 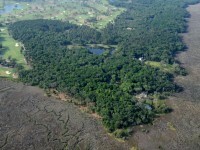 This is a 1.91 acre home site on the Wildlife Refuge/Rookery area of the Frederica Township and is part of Phase IV. A celebrated and prestigious private club, Frederica offers an impressive list of amenities including fine dining, tennis, fitness center, boating, fishing and swimming. A Tom Fazio designed golf course complete with new golf learning center provides for an extraordinary golfing experience each time out on the course. Call for more information or to schedule a personal tour. 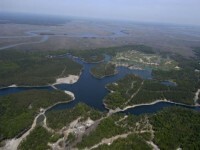 This is a 2.66 acre home site on the Wildlife Refuge/Rookery area of the Frederica Township and is part of Phase IV. A celebrated and prestigious private club, Frederica offers an impressive list of amenities including fine dining, tennis, fitness center, boating, fishing and swimming. A Tom Fazio designed golf course complete with new golf learning center provides for an extraordinary golfing experience each time out on the course. Call for more information or to schedule a personal tour. 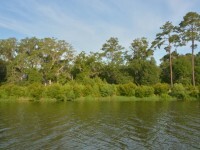 Enjoy beautiful sunsets and deep water access from this 1.2 acre home site teaming with live oaks. Only one of 17 sites that offers deep water dockage. 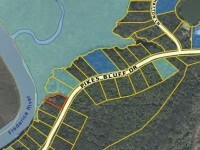 Located on Pike's Bluff Drive this home site is convenient to all that Frederica has to offer. A celebrated and prestigious private club, Frederica offers an impressive list of amenities including fine dining, tennis, fitness center, boating, fishing and swimming. A Tom Fazio designed golf course complete with new golf learning center provides for an extraordinary golfing experience each time out on the course. Call for more information or to schedule a personal tour. 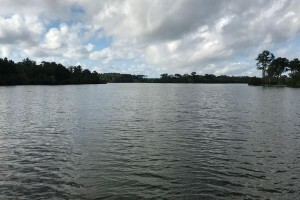 This is a unique opportunity to own one of the few long lake views to the Frederica Boathouse. 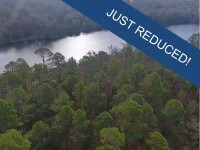 Home Site 181 boasts over 540 feet of lake frontage on 2.6 acres on with the opportunity to purchase the adjacent Home Site 182 to complete this peninsula on Frederica Lake. The combined property features 4.9 acres and over 1,100 feet of wrap around views. Enjoy water from every vista on this unmatched secluded island setting. A unique opportunity to own one of the last remaining long lake views overlooking the Frederica Boathouse. 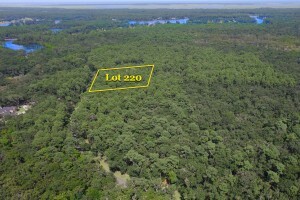 Home Site 182 boasts over 625 feet of lake frontage on 2.3 acres with the ability to purchase the adjacent home site 181 to complete this peninsula on Frederica Lake. The combined property features 4.9 acres and over 1,100 feet of wrap around views. Enjoy water from every vista on this secluded island setting. 182 features a western exposure for beautiful sunsets. 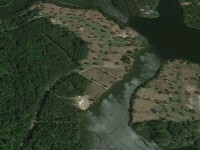 This home site is on the lake in Frederica Township in popular Phase V off of Pikes Bluff Road. A celebrated and prestigious private club, Frederica offers an impressive list of amenities including fine dining, tennis, fitness center, boating, fishing and swimming. A Tom Fazio designed golf course complete with new golf learning center provides for an extraordinary golfing experience each time out on the course. Call for more information or to schedule a personal tour. 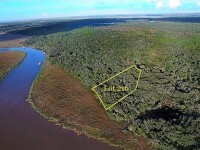 Flood Zone X.
Gorgeous views from this large 1.58 acre Marsh front home site in Frederica. Located in Phase I of Frederica Township, this home site is on the marsh with convenient access to all that Frederica has to offer. A celebrated and prestigious private club, Frederica offers an impressive list of amenities including fine dining, tennis, fitness center, boating, fishing and swimming. A Tom Fazio designed golf course complete with new golf learning center provides for an extraordinary golfing experience each time out on the course. Call for more information or to schedule a personal tour. 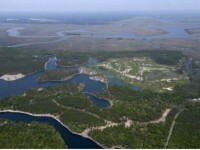 One of the largest marsh front home sites available at Frederica offering western exposure with beautiful sunsets. A magnificent oak canopy of some of the communities most majestice live oaks, this property offers all the privacy and traquility of Frederica with all the amenities of this world class private club. 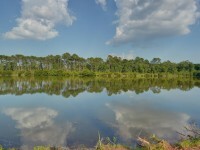 Located in Phase I of Frederica Township, this home site offers convenient access to all that Frederica has to offer. A celebrated and prestigious private club, Frederica offers an impressive list of amenities including fine dining, tennis, fitness center, boating, fishing and swimming. A Tom Fazio designed golf course complete with new golf learning center provides for an extraordinary golfing experience each time out on the course. Call for more information or to schedule a personal tour. Located on Kirkaldy Lane, this 3 acre lake front home site offers panoramic views, eastern exposure with 270 feet of lake frontage. This open site allows for a more manicured landscape design and the ability to plan your canopy around your home design. This large home site will accommodate a compound setting. 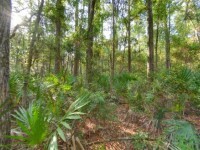 This is a 2.156-acre wooded home site located on the Rookery at Frederica. A wonderful opportunity for great privacy with marsh and river views across the street. 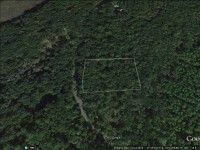 This home site has offers a 2-acre buffer to the south. 40-foot side setbacks allow for 80 foot buffers between the home to the north. 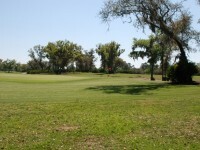 Incredible views from this golf course lot located in Frederica Golf Course. Build your dream home in this exclusive community. Community amenities include gated with 24 hour security, 35,000 square foot clubhouse with pool, tennis and fitness center, world class golf teaching facility, 67 acre equestrian center, and 13,000 square foot Adirondack Style Boat House. Listing courtesy of © 2015 Golden Isles Multiple Listing Service (CIMLS). Information deemed reliable, but not guaranteed. Listing courtesy of Don Wright & Associates. 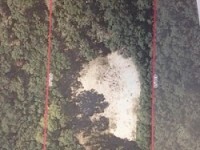 Lot 142 is a lakefront home site on Logan Circle in Frederica offering over 2 acres with long lake views.. Located in Phase III of Frederica Township, this home site is on the lake with convenient access to all that Frederica has to offer. A celebrated and prestigious private club, Frederica offers an impressive list of amenities including fine dining, tennis, fitness center, boating, fishing and swimming. A Tom Fazio designed golf course complete with new golf learning center provides for an extraordinary golfing experience each time out on the course. Call for more information or to schedule a personal tour. 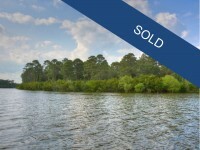 A wonderful opportunity to own one of Frederica's finest lakefront homesites. Located near all the Club amenities with long lake views and golf views from the north side of this home site offering an Eastern exposure and over 3.4 acres. The adjacent home site is also available for purchase as well. Southerland Lane features some of Frederica's most prestigious homes and offers the ability to build your dream home in the heart of the community.. 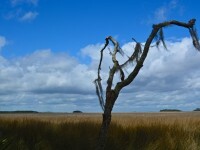 There are only 5 marsh lots in all of Frederica with easterly exposure, and Lot 38 is one of the best. Located on a quiet cul-de-sac, this site is extra deep with measurements of 441' and 348'. This 2.32 acre property has a generous building envelope while offering and buffers on all sides. A multitude of oak trees and natural forest that will nicely frame your future home. 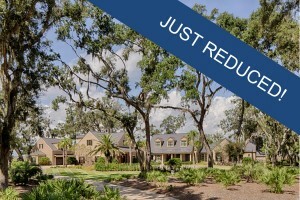 The security of Frederica and a world class private club are yours to enjoy for $375,000. Listing courtesy of © 2016 Golden Isles Multiple Listing Service (GIMLS). Information deemed reliable, but not guaranteed. Listing courtesy of Al Brown & Company. 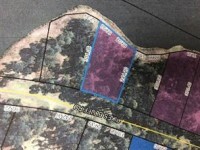 Wooded home site on Kirkaldy Lane in Frederica offering a unique opportunity for a compound setting on over 4.4 acres with a wonderful oak canopy. 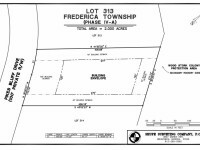 Located in Phase III of Frederica Township, this home site is convenient to all that Frederica has to offer. A celebrated and prestigious private club, Frederica offers an impressive list of amenities including fine dining, tennis, fitness center, boating, fishing and swimming. A Tom Fazio designed golf course complete with new golf learning center provides for an extraordinary golfing experience each time out on the course. Call for more information or to schedule a personal tour. 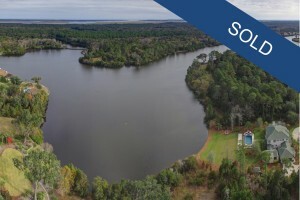 On the main part of 400 acre Frederica Lake, within sight of the Boat House on Southerland Lane, this choice lake front site is extraordinary. Most of the lot is in an X zone. 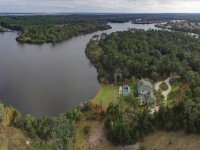 Easterly exposure with 275' of water frontage, 2.31 acres, and close to the Frederica Golf Club clubhouse, famed 18 hole Fazio course, tennis, pool, and the Boat House facility and accompanying water crafts. Electric boats and canoes are at your pleasure. 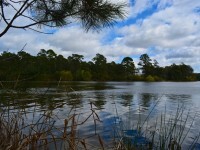 Frederica Lake has some of the best fishing in the South, dominated by largemouth bass. A nature lover's paradise. Private, secluded and secure. Come discover Frederica's secrets. Listing courtesy of © 2016 Golden Isles Multiple Listing Service (GIMLS). Information deemed reliable, but not guaranteed. Listing courtesy of Al Brown & Company. 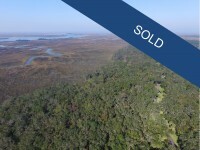 This is one of the largest home sites available on St Simons Island! Compare this almost 6 acre lot with those 1/4 acre lots on the south end at the same price. The common grounds are unbelievable. 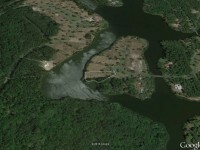 This is an estate lot with with tremendous privacy. The huge rookery is on the left side and rear of the property and another 5 + acre home site is on the right side. The road frontage is on a curve, giving the property great prominence and privacy. Frederica Township is a celebrated and prestigious private club, offering an impressive list of amenities including fine dining, tennis, fitness center, boating, fishing and swimming. A Tom Fazio designed golf course complete with new golf learning center provides for an extraordinary golfing experience each time out on the course. Listing courtesy of © 2016 Golden Isles Multiple Listing Service (GIMLS). Information deemed reliable, but not guaranteed. Listing courtesy of Charles R. Simons Jr. Realty. 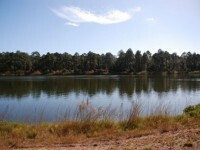 This home site offers long lake views along with the Frederica Golf Course beyond. A northeastern exposure.and over 2.3 acres, this property is the perfect spot for your Frederica dream home. This open home site allows one to landscape to create your own natural setting. Beautiful homes located throughout Kirkaldy and Logan circle offer instant neighbors all set on estate site settings. Conveniently located near the Club amenities and either the main or residents gates. Membership application rites to the Frederica Golf Club and Sea Island availability. 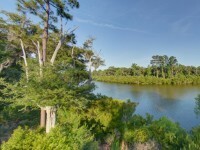 This deep water river home site offers amazing long marsh and water views with deep water dockage. 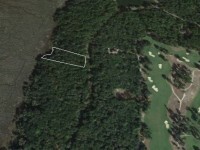 Over 1.7 acres teeming with live oaks and the ability to add a boat house, dock and lift all withing close proximity to all the Frederica Golf Club amenities. Easy access to the Resident's entrance, this home site is an incredible value. 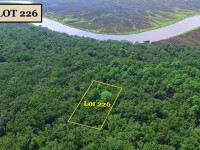 This 2.25 acre home site is located on the Wildlife Refuge/Rookery area of Frederica Township. This large, wooded home site offers wonderful privacy with marsh views from the front on the adjacent marsh front home sites. Easy access to the Frederica Golf Club amenities including fine dining, tennis, fitness center, boating, fishing and swimming. A Tom Fazio designed golf course complete with new golf learning center provides for an extraordinary golfing experience each time out on the course. Membership application rights for the Frederica Golf Club and the Sea Island Club. Call for more information or to schedule a personal tour. 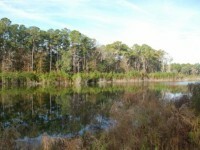 This 2 acre home site is located on the Wildlife Refuge/Rookery in Frederica Township and is part of Phase IV. Almost two acres of teeming oaks, this property offers wonderful privacy and deep water river home sites across the street. 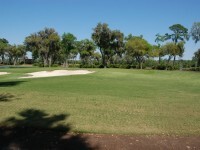 Easy access to all the Frederica Golf Club has to offer. Frederica offers an impressive list of amenities including fine dining, tennis, fitness center, boating, fishing and swimming. A Tom Fazio designed golf course complete with new golf learning center provides for an extraordinary golfing experience each time out on the course. Membership application rights available for the Frederica Golf Club and the Sea Island Club. Call for more information or to schedule a personal tour. 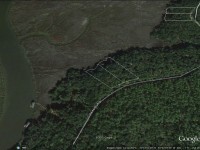 Beautiful 1.1 Acre nicely wooded lakefront homesite in Frederica Township on Pikes Bluff in desirable Ph. V. If a custom built coastal home in a prestigious development is on your bucket list, this lovely homesite with impressive lake views just might fit the bill! Frederica is a gated community offering a secluded nature-focused setting of inviting winding roads, peaceful lakes, marsh and gorgeous moss-draped oaks. Neighborhood amenities include a spectacular clubhouse with fine dining, tennis, fitness center, fishing, boating, pool and a Tom Fazio designed golf course. Homesite in FEMA Flood Zone X, so no flood insurance required. Public water/sewer tap in fee already paid by Seller means a $2800. savings (current fee is $9300) for the Buyer. Survey attached as a document. Viewing this homesite, the community and all amenties must be scheduled in advance by appointment only please.Listing courtesy of © 2016 Golden Isles Multiple Listing Service (GIMLS). Information deemed reliable, but not guaranteed. Listing courtesy of BHHS Hodnett Cooper Real Estate BWK.